hear some of the stories she has about her famous dad. Nice story, glad you posted it Jon; wonder where both Diane and the car are now? 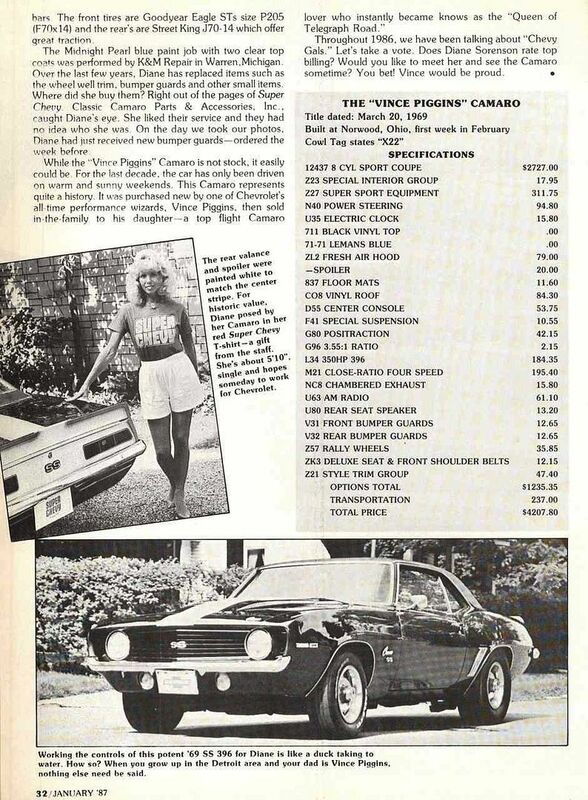 Here's a link to a short article that Hemmings "Muscle Machines" magazine did on Vince Piggins back in 2005.
when you called that department the girl answered "product promotion"
So he never actually owned the convertible Z? 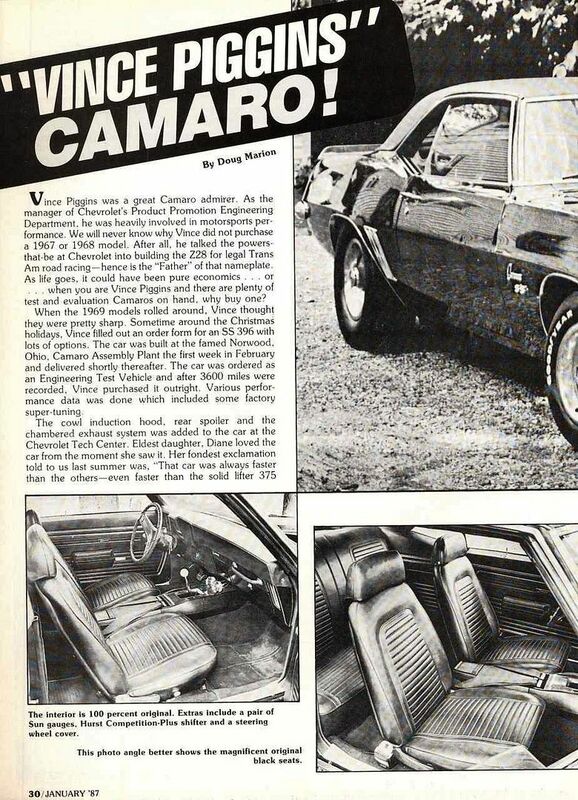 No, the convertible '68 Z/28 was built for Chevrolet General Manager E.M. "Pete" Estes. You never run out of interesting reading Mr. Mello. Good grief, I knew that. Getting old the brain turns to mush. Very Cool. The car came with front & rear number guards. Someone removed them before the photos were taken. Also hard to tell what colour the car is in the pictures, since they are black and white, but it does not look a light colour like Lemans Blue. 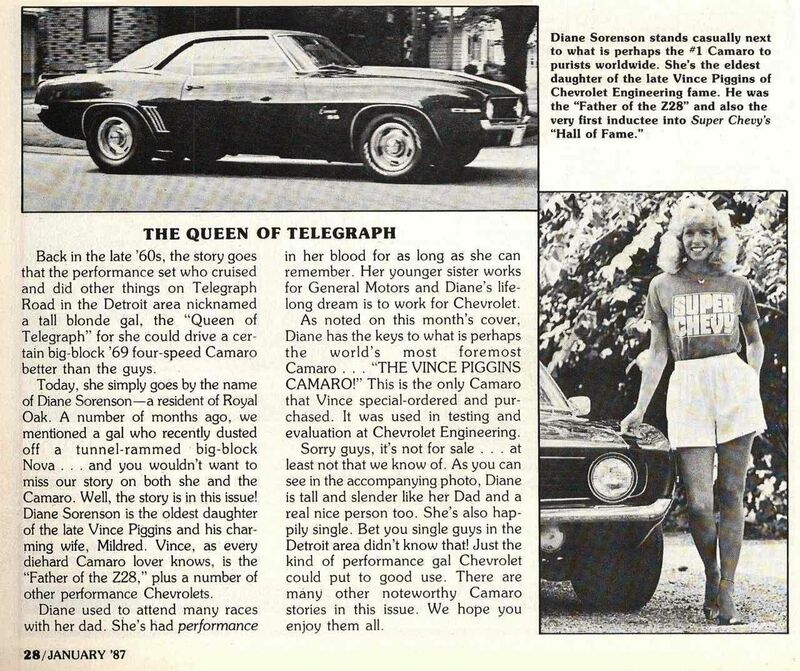 Love the article and love the car, and Dianne. I guess she's not single anymore? The text of the article says the repaint was done in Midnight Pearl Blue so a very dark blue color, non-stock. 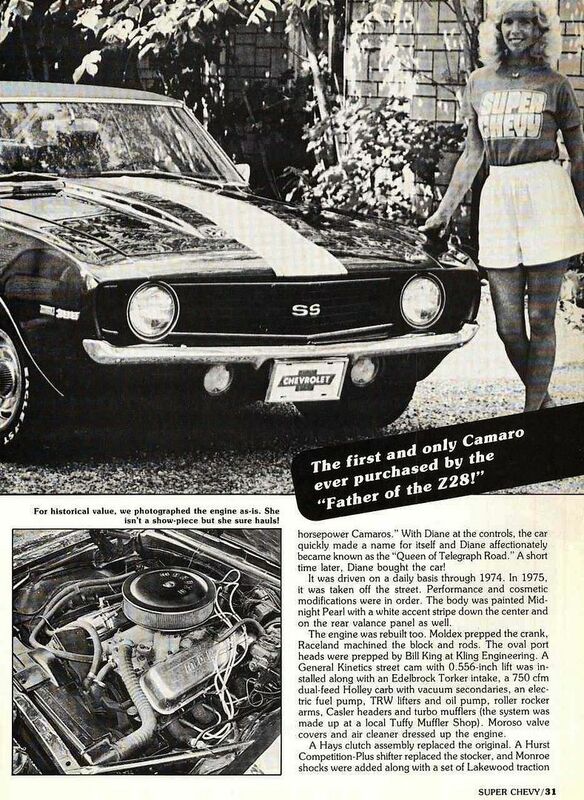 Surely you wouldn't marry a lady for her Camaro? would you? Do you think someone beat you to it? This is so cool. I work with Dianne. She is the office manager where I work. She still owns the car btw. If you want to buy it....the line forms to the left. It is a one of one car built by GM. When I asked her if she was the queen her face just lit up! She said, "I was once upon a time"
Thanks for posting. I'm very pleased to hear Diane still has her very special car. She is the queen.